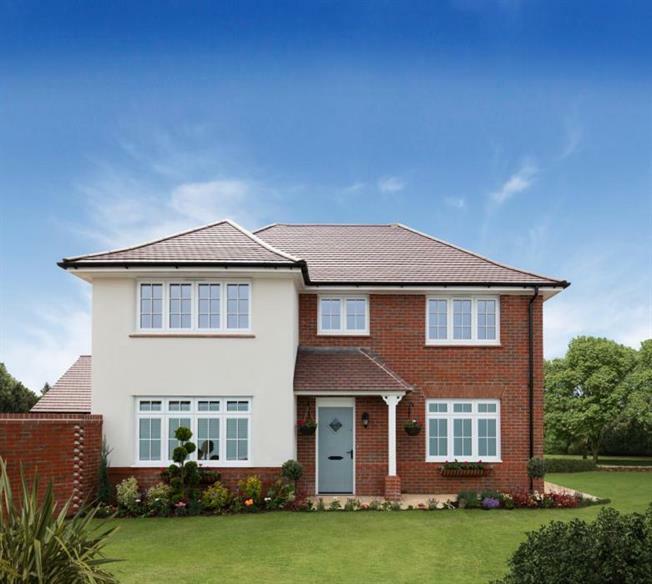 4 Bedroom Detached House For Sale in Woking for £614,950. Price Includes Flooring Throughout And Turf To Rear Garden. A truly stunning brand new four bedroom detached family home situated within a hugely desirable location located down Jopling Road, Bisley. The property is situated within easy access to Woking and Brookwood station providing a superb service to London Waterloo. For families, a choice of Schools all with superb Ofsted ratings are located within easy access. Internally the property is incredibly spacious and offers a generous size entrance hall leading to a stunning open plan kitchen/dining/family room, utility room, downstairs cloakroom and a generous size lounge. Upstairs offers four excellent size bedrooms, family bathroom and en suite to the master. For further information please call Carson & Co. on 01276 476161.